Our most highly anticipated station at our NJ Makers Day event was our virtual reality (VR) station. 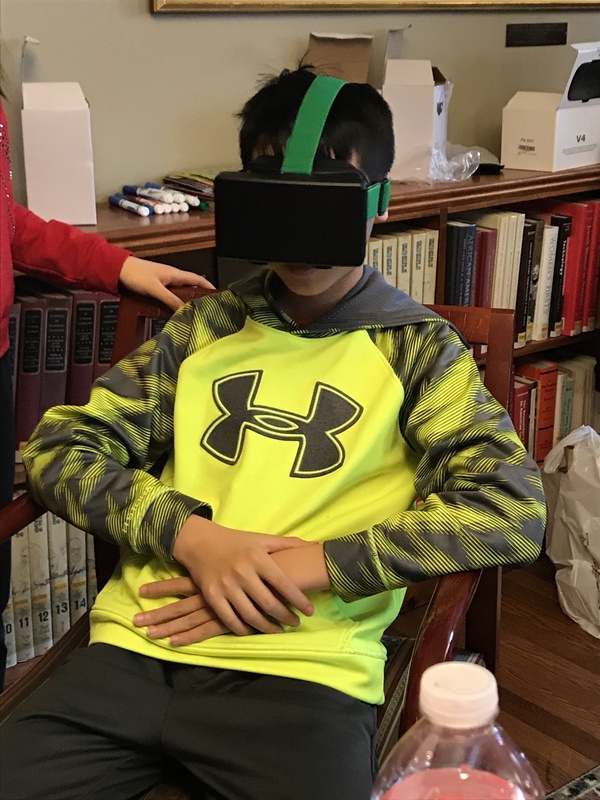 With the funding from the grant, along with a small amount of our own funds, we were able to purchase Google Cardboard Virtual Reality glasses for about 95 families, as well as a more advanced VR glasses that participants could try for an even more exciting experience. We handed out the glasses to the interested families and walked them through a few apps to add to their phone. They experienced several VR experiences, from underwater exploration to playing Iron Man in a game. This was the first time we were able to bring this technology to the community and it was a wonderful success with lots of “So cool!” and “Neat!” and “You’ve got to try this!” overheard from both adults and children.